Retour à la navigation. Retour au contenu. RHEM is a graphic adventure (point-and-click, pre-calculated first person). The virtual world is shown through the eyes of the players. The environment consists of individual pictures covering a 360-degree view. This Special Edition features many new puzzles and areas to the original game. 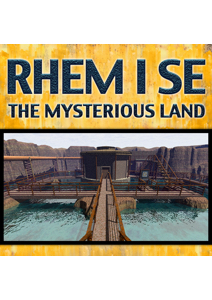 In addition many enhancements from the sequels like "color-picker" or "skip mode" have been added to "RHEM I SE: The Mysterious Land"